For several years now, Restaurant Imada has been offering Japanese cuisine in the old town of Aarau’s old town worth visiting. Our family visits this eatery regularly, maybe once or twice a year. As I was told, it is authentic Japanese fare. I cannot judge this because neither have I been to Japan nor am I a specialist in this field, but I did like everything I have tasted there, be it sushi or other Japanese food. 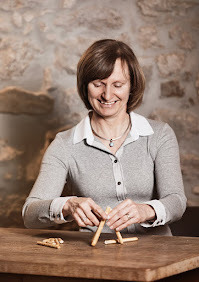 Location is preferred in Aarau’s old town and not far from parking space. The restaurant’s interior is modern and very minimalistic. Some call it cold, but I like it, it suits the restaurant’s style. There is also outside seating in summer times. Do not miss going to the rest room because this allows you to have a glimpse into the impeccable kitchen and to admire the extremely successful remodeling of this house, a real feast for the eyes for lovers of modern design. The owner of the restaurant, an elderly Japanese lady, is present most of the times. She is always polite and eager to provide information on the menu. 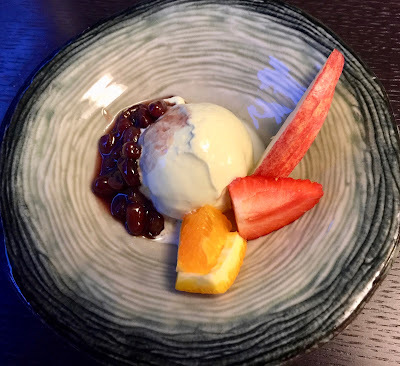 Unlike many other Japanese restaurants in Switzerland Imada also serves other dishes than sushi. 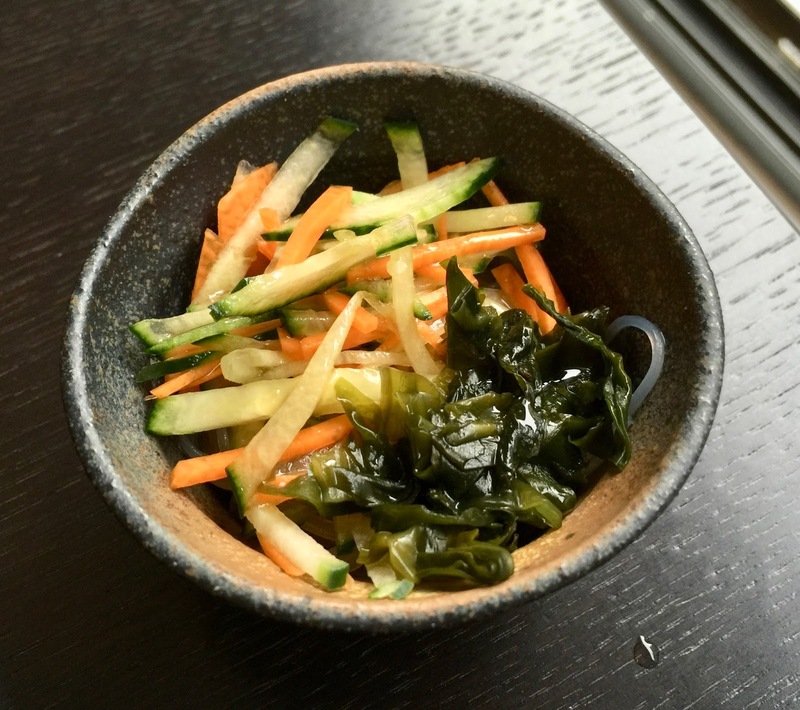 In fact, there is quite an extensive menu with all sort of Japanese dishes. As I do not have – as already mentioned – a profound knowledge of the Japanese cuisine, I cannot express an informed judgment. But I have tried various items of the menu and so far I liked it all. And as said, the owner is more than ready to give you more information. 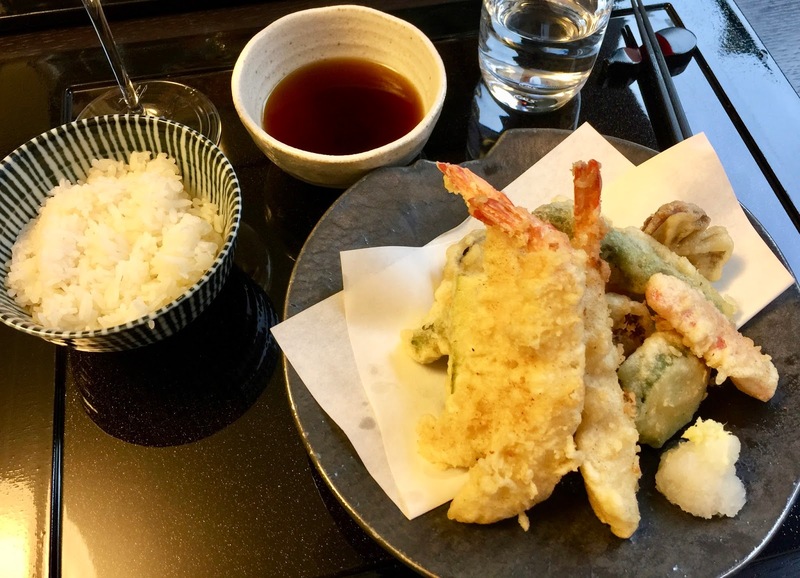 There is an a la carte menu and a fixed menu with tempura, sushi or beef as a main. In addition there is also a menu “Sukiyaki” or “Shabu-Shabu”. The main course consists of thinly cut beef cooked on the table and accompanied by several side dishes. I have not tasted the latter yet nor will I do it in future because it is a smelly affair. I personally consider it somewhat of a nuisance, I do not like when other guests take this choice because I do not want myself and my clothes to smell like meat cooked in broth. We normally have some sushi as starter, a hot main afterward, followed by a dessert. 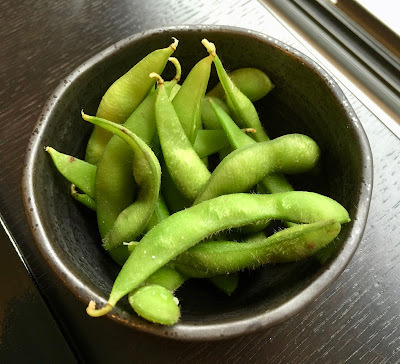 Last time, we opted for the fixed menu, starting with an amuse bouche and then some edamame. As a starter we had hosomaki sushi and as main we chose tempura moriawase. 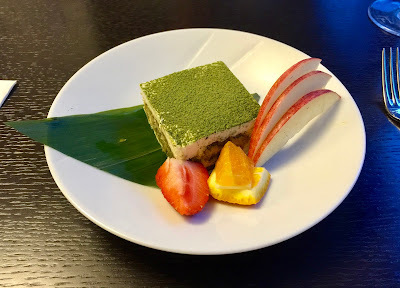 When it came to desserts, my hushand had green tea ice cream with sweet azuki beans and I ordered green tea tiramisu. As always, all the food was not only nicely arranged, but also tasted great. I already mentioned the owner of the restaurant who is friendly and helpful everytime we go there. There are other members of her family – at least I assume it – who work at Imada and who are likewise amiable and attentive. Normally, service is efficient. Once, the restaurant was very busy and we had to wait quite long to get served, but this really is not usually the case. Value for money is good. Portions are not big, but sufficient. First-class ingredients are used and this does not come cheap. I think that the price level is adequate. 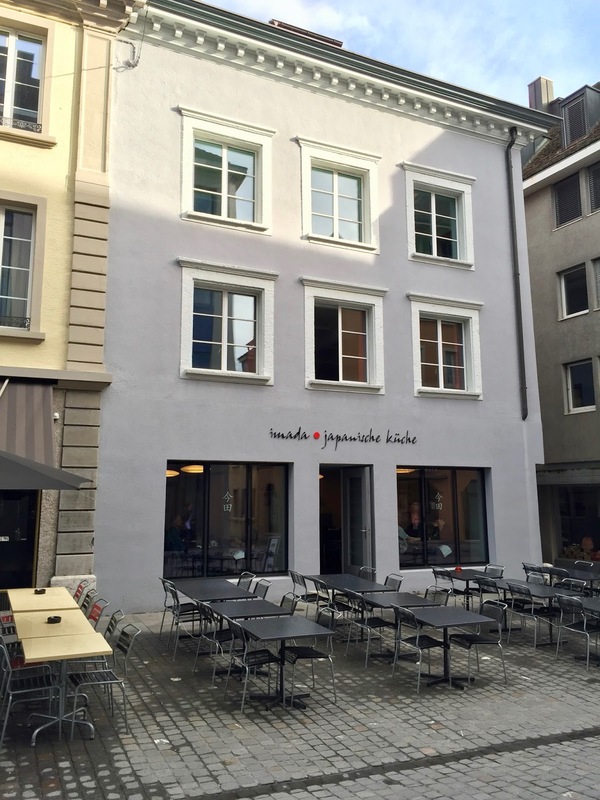 Overall, this gem of a restaurant is a valuable addition to Aarau’s restaurant scene, which is unfortunately not that vibrant, especially regarding spots for fine dining.